(L-r) STEVE CARELL as Burt Wonderstone and JAMES GANDOLFINI as Doug Munny in New Line Cinema’s comedy “THE INCREDIBLE BURT WONDERSTONE,” a Warner Bros. Pictures release. This entry was posted on Wednesday, April 10th, 2013 at 11:17 am	and is filed under . You can follow any responses to this entry through the RSS 2.0 feed. You can skip to the end and leave a response. Pinging is currently not allowed. 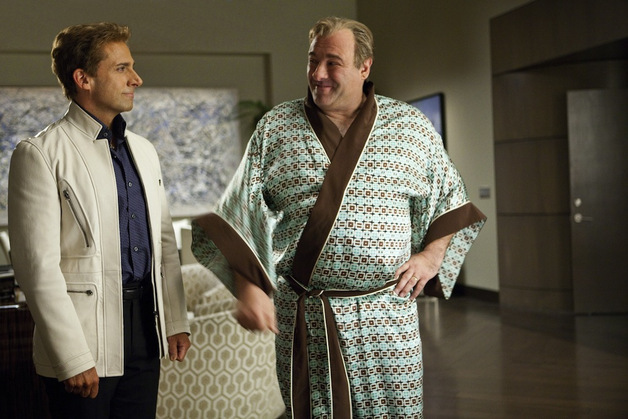 « Steve Carell & James Gandolfini To Star In HBO Movie About Feuding Paleontologists! !